As a distributed team ourselves, serving many great companies with flexible work arrangements, we don’t think people’s physical presence in one place is necessary to create the best workplace or the best work. Where we do agree with Yahoo is how vital communication and collaboration are to a company’s success. The nature of remote work actually compels companies to grapple with and figure out how people communicate and collaborate best. Fortunately, connection and communication are what technology and the web have made so much easier. Finding the right communication tools becomes even more pressing for distributed companies since that toolbox helps create our shared space. As a follow-up to our ode to distributed companies, we thought we’d share what communication tools we use to stay connected, creative, and collaborative together. These communication tools are great not just for managing remote workers but for any teams, since no matter the physical working arrangement, strong team connection and communication are key to accountability, productivity, and innovation and great customer service. It’s a challenge to consistently be up to date on what people are working on because it involves digging through a clutter of information within emails, project management tools, and lists. So we use iDoneThis to keep us in sync and get a high-level view of everything that’s happening. At the end of the day, you reply to an email asking what you got done, and the next morning, everyone get a digest. With this daily overview keeping us on the same page, we can hit the ground running without the hassle of coordinating ourselves or too many meetings. The meetings we do have are more focused and efficient since everyone has written down and shared what they’ve done. This transparent record of team progress (or lack of it) allows for feedback, support, and intervention, providing another point for communication and collaboration, and our ability to review helps us better understand how the pieces of the work puzzle fit together and see whether what we’re doing aligns with our goals. Project management is tricky because elements are always shifting and moving around. It’s hard for teams to know the exact details of every task, and because information doesn’t permeate quite as easily to distributed teams, everyone has to be diligent about monitoring and responding to task and project management tools. We like Asana because it’s good at showing the nitty gritty details of a project and keeping a record of all the activity associated with particular tasks. It also moves conversations about specific tasks out of the collective space so that you’re not having to “overhear” details that don’t pertain to you without your control. Since information exchange is asynchronous, we don’t have to live in the application. We can get more of our actual work done while always being up to date because information changes in Asana in real-time. We tried out Trello for project management but it didn’t quite do the trick for how we work. Whereas we use Asana for viewing the trees, we use Trello for viewing the forest. Trello’s design is intuitive and familiar from the get-go, recalling the simplicity and responsiveness of using a whiteboard and index cards while keeping a better record. Because its design lends itself well to flexibility and the long-view, we use Trello for brainstorming, long-term planning, and developing our roadmap. We like the clutter-free space that allows us to play with ideas and move items about to help us find our direction. We use GitHub, a distributed version control system and code repository (or “repo”), to manage our code. We don’t have to worry about conflicting pieces of code or juggling different versions, since GitHub helps us keep track of our files and how they’ve changed, while allowing our team to work on files at the same time. Two powerful GitHub features are issues and pull requests. 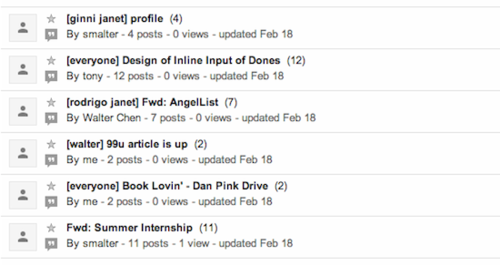 We use GitHub’s issue tracker to share customer service problems and bugs. Our workflow becomes simpler since issues and code can refer to each other. For instance, you can write “closes #123” as part of your commit message, and then that issue number is closed. The pull request lists all changes to the code in a way that is easy to navigate, allowing us to review and have a discussion. This way, we can give feedback and sign off on code before finally syncing with the repo. We use GitHub’s wiki feature to store both technical and general reference documents. So, along with information about the code, there are documents such as guides for resolving common customer service requests or how to handle social media. In any case, the wiki equips newbies to the team or to a task with grounding information. The chat client Campfire is where we hang out during the day. It’s our virtual office, giving us a channel to have conversations ranging from watercooler talk to a two-minute question about a customer issue to a detailed exchange about some logic. We can share screenshots, links, code, and files to get quick opinions or have a laugh. The best thing is that conversations are all saved, searchable, and visible to everyone, so information is always there as a reference. Many of us also share images and files with CloudApp, and use a Campfire client like Flint or an extension like Kindling for extra features like notifications. Our communication toolbox is incomplete without Google Groups. We’re still a relatively small team so we send our emails to the entire group while tagging our intended recipients in the subject line. This transparency helps with information permeation without interrupting people at every turn. We can dip a toe in the email waters to see what’s going on, and we know when we have to dive in and focus on emails that are sent to our or the whole group’s attention. Finally, we hold our weekly team meetings over Hangouts as our regular dose of face-to-face interaction. People regularly hop over from chat to Hangouts because so many things are easier to talk about “in-person.” We could be discussing one of our book club selections or going over a particular problem. What’s great is how the ability to see each other adds to our camaraderie. Whether people are located in one office, at home, at a coworking space, or coffeeshop, everyone has to work together to effectively communicate and collaborate. And when it comes to communication tools, as Jamie Wilkinson of VHX said, “It’s a question of having a good Swiss army knife … having small tools that do certain things really well.” We’re using these seven as our handy Swiss army knife. We’d love to hear about what your team or company uses! Let me suggest Mural.ly to that list. It is really useful when what yo need is to discuss ideas and work in a visual way with a distributed team. This ” https://toptenpmsoftwares.wordpress.com/” list has a awesome collection of project management tools. This list has helped me to find my favorite tool for project management. I’d like to suggest one more powerful tool i.e. Invoicera. 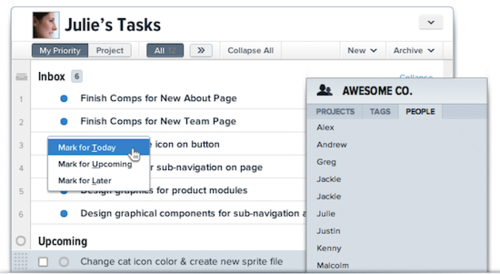 It’s a web based tool helps with effective team and task management. You may assign different tasks to your team and keep the track of work done by your team through daily time sheets. You may add this tool to your list as it is a great source to increase the productivity and accountability among teams. Try vroom.club a very innovative collaboration tool with voice and sms. I’d like to inform you one more tool, i.e Moon invoice. It mobile and Mac OSx tools Help managed estimates, purchase orders, customers, vendors, payment receipts. You can add multiple companies support 22 Professional PDF templates. It help to Improve your team productivity and daily time. I would like to be Suggeted to you try once this tool. 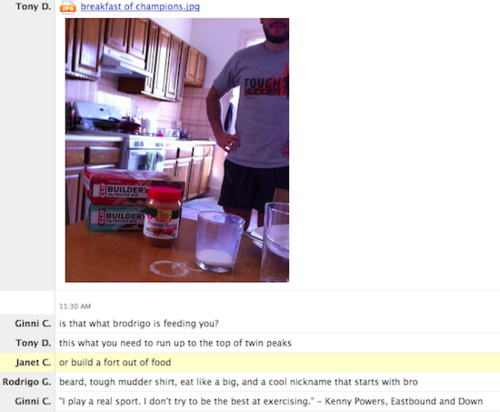 Google Hangouts is mostly used for social and casual interactions. For business meetings, you may try using tools like webex, gotomeeting, R-HUB web conferencing servers etc. Complete communication and collaboration tool with video, chat, record audio and sms . It’s free. Once you tried it you will never want to go back to emails. Great list, some are really useful and cool tools. May I add Gridle.io here, worth a try. Best suitable for remote teams to communicate and collaborate through tasks, files, chats, audio-video conference & projects at one place. For remote teams ProofHub is another very useful tool one can try to manage your projects. This tool has all the features that can help to manage and collaborate with remote team. So much has changed since 2013. Top free remote team management tools now are Bitirx24, Slack and Trello – not even on the list here. Time for an update? Hey Superb post! Thanks for sharing these collaboration tools which help in managing the remote teams. I agree with the ideas being discussed on best collaboration tools for working; it will surely uplift how managing and building of team should be correctly implemented. Also, it will give online companies and businesses a better perspective on how to get things work and what are essentials to make it successful. But it looks like your list is half-baked as there are more new strategies and tactics on how to successfully create an online presence. And there’s a good alternative I can suggest and hope will also help ***INDYDESK – Best Collaboration and Project Management Tool that combines functionalities and solutions which will surely address to the problems on building and managing remote teams. Not trying to be little your list but giving you new viewpoints about the topic. With the help of project management tool, one can handle all of his work. I think one should definately try its free trial.